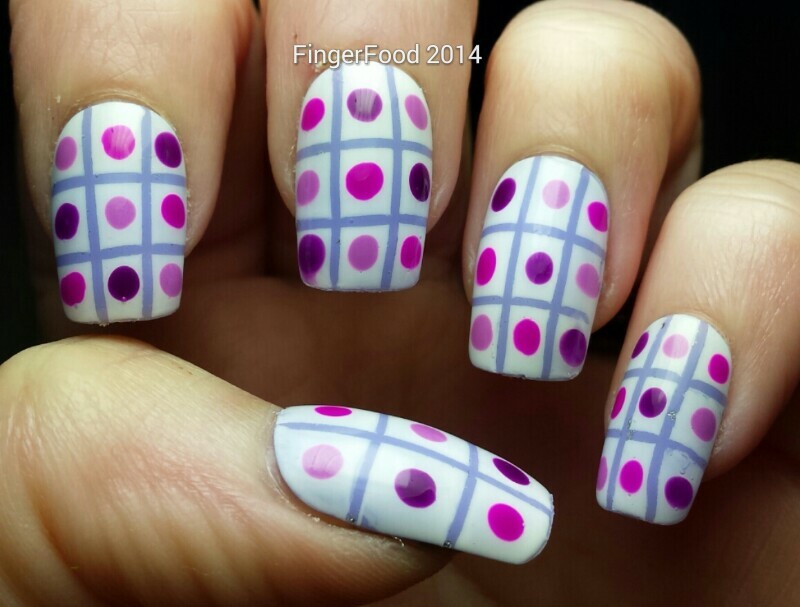 FingerFood: Purple madness! GOT Polish, Theme Buffet and NAILS 31DC! Hello everyone! Today I have a three in one post for you. 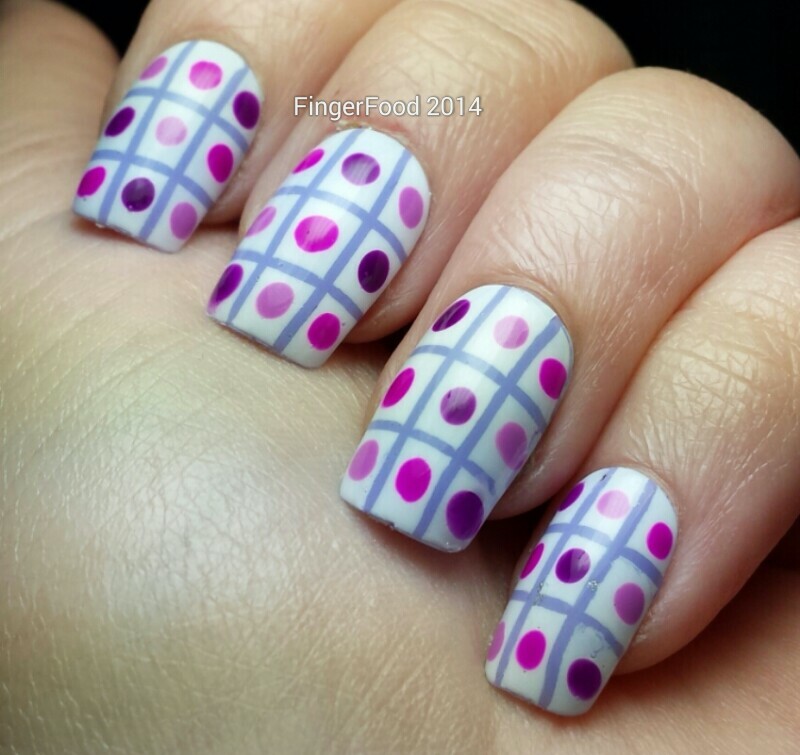 This mani combines the GOT Polish challenge and NAILS Magazine 31DC "Purple" prompts, along with FingerFood's Theme Buffet "Dots and Stripes" prompt. 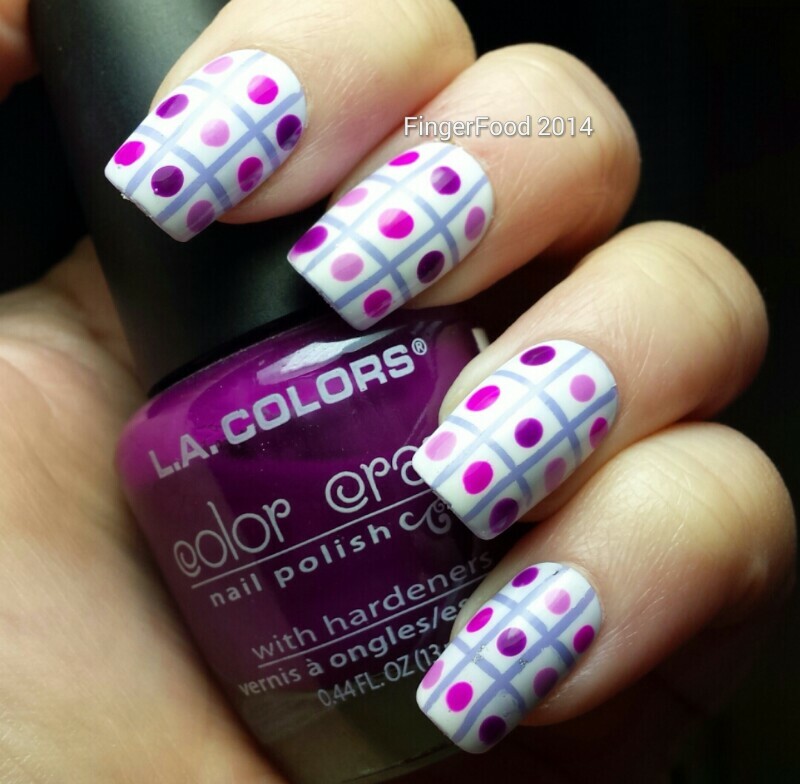 The polishes are all over 1 year old, there are dots and stripes and its all purple, so therefore made of win! The base is two coats of Barry M Gelly Prickly Pear. I then taped on a grid pattern and went over the whole nail with French White before carefully removing the tape. 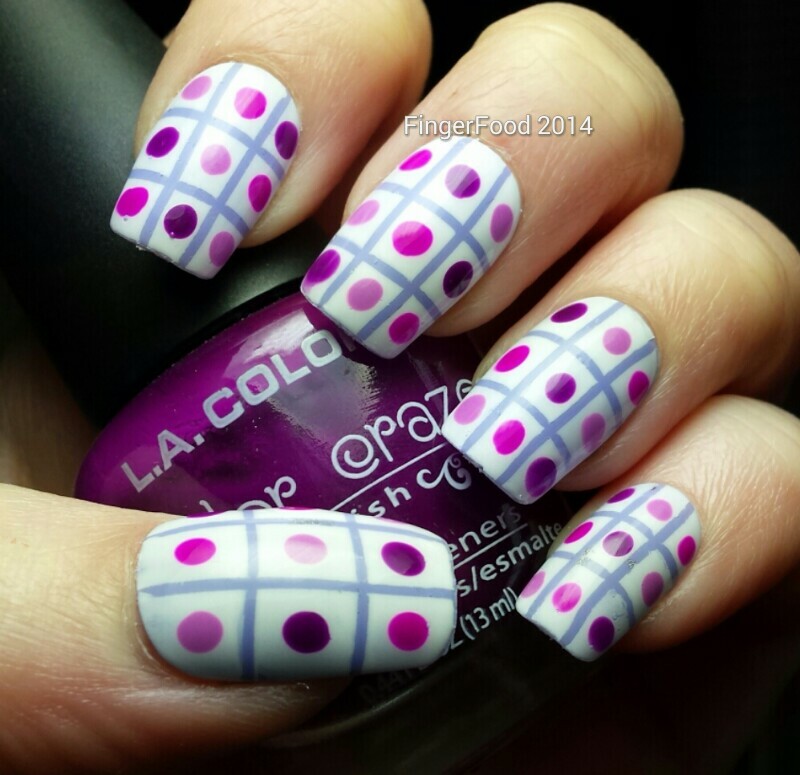 I added dots to each white space using a selection of my favourite purples (light to dark: LA Colors Wisteria, Electra and Edgy) and finished with a coat of Seche Vite. I was able to use some of my favourite colours in this design and I love the fact that I managed to get it to line up for the most part! So that's my three for the price of one post! I hope you like it. There are loads of links beliw to some gorgeous nail art, so be sure to check them out! Perfect line up! I can't wait to start participating in the challenges! Hopefully we are moved and settled in the new house by end of next week! wow all those purple shades look stunning on your nails!! I love this, Sam. It's fab.